The Chromecast is cheap, useful and easy to operate, so it's no surprise that it's become Google's biggest hit yet in the world of home theater. Out of the box it's designed to stream online content directly from services such as Netflix and YouTube, but with the right utilities installed you can cast local content from an Android device too. Here's how to do it. There are in fact a number of Android apps that let you get music, photos and video from your phone or tablet up on your Chromecast—the problem is, not all of them are particularly reliable or stable. Google's dongle isn't really designed to cope with content from a local network and so you're going to run into problems unless you're running an app you can rely on. One of the best tools for the job is also one of the newest: ES File Explorer File Manager has won a lot of friends for the ease with which it lets you navigate the files and folders on your Android device, and it's recently launched a Chromecast plugin to get these files cast to your big-screen. You can install the app straight from Google Play but the Chromecast extension then needs to be setup from within ES File Explorer. To get started, open up a file within the app's native viewer. Tap the button at the top that shows a play icon inside a mobile phone or choose Chromecast from the options menu (three vertical dots). 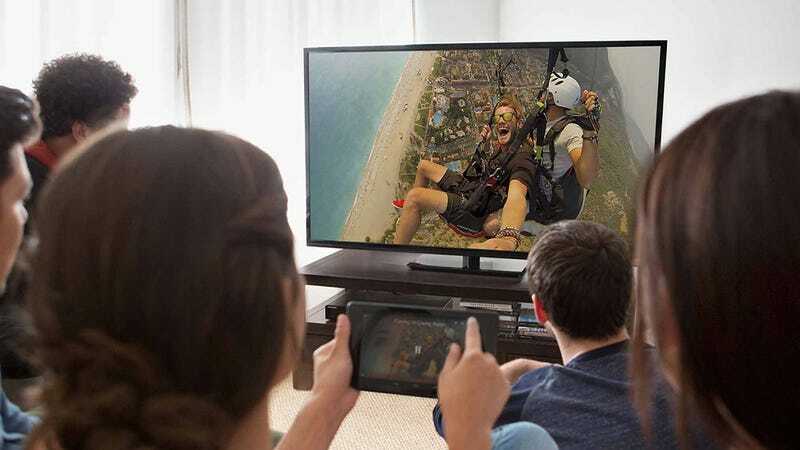 The first time that you do this, you'll be prompted to download the ES Chromecast plugin; once this is installed, the action will cast your file to a connected Chromecast. You can still easily control playback from within the ES File Explorer app—pause and skip controls are available for videos and if you're viewing a slideshow of pictures then you can browse through them from your phone or tablet. Tap on the Chromecast button on the interface to break the connection and return to playing your content on the device itself.